Alan is a Senior Employment Lawyer and Director at Averta, having joined in January 2005. He was previously a partner at DLA Piper between 1983 and 2004, during which time he headed the Birmingham office employment law team, and had various management roles within the firm. Clients for whom he had responsibility operated in all sectors including the financial services sector, retail, banking and recruitment. Work types included enforcement and/or drafting restrictive covenants, contractual disputes, dismissals and discrimination and over the years, he conducted over 200 hearings at employment tribunals throughout the country. 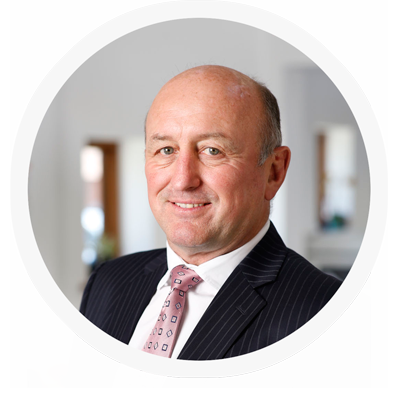 With a strong grounding in the corporate and commercial aspects of employment law,, Alan now uses his expertise for the benefit of individual clients, such as directors, senior executives, managers and professionals from businesses of all shapes and sizes. In the last nine years he has acted for numerous clients dealing with a whole range of issues such as discrimination, whistleblowing, share issues, bonus claims and severance payments. He has acted for PLC main board directors, including some from banks and financial institutions and for several ‘partners’ leaving private equity funds (which gives rise to interesting ‘carried interest’ issues). He has also acted for lawyers leaving law firms around the country, and for senior executives leaving public sector and NHS organisations. Clients consider him to be approachable and, importantly, other lawyers in commercial law firms consider him to be a capable, practical and commercial employment lawyer. Alan is particularly sensitive to the public relations side of employment issues in that an individual’s reputation (both internally and in media terms) can be very important. This can be particularly relevant in public sector terminations but is a significant issue to many senior executives in large companies. Both Chambers and Legal 500 compliment his skills in their annual publications, and include him in their directory of ‘legal experts’. He is also a member of the Employment Lawyers Association and Birmingham Law Society Employment Law Committee which regularly comments on matters of public interest in the field of employment law. For further guidance on employment law matters please contact Alan on 0870 421 1952. Alan Jones attracts considerable approbation for his ‘commercial outlook and bright practical approach.